Nowadays, most netizens love to post and share photos or videos of rare species they have found. Some of the rare species are already endangered and close to extinction prompting the Environment Department to exert extra effort to protect those creatures. 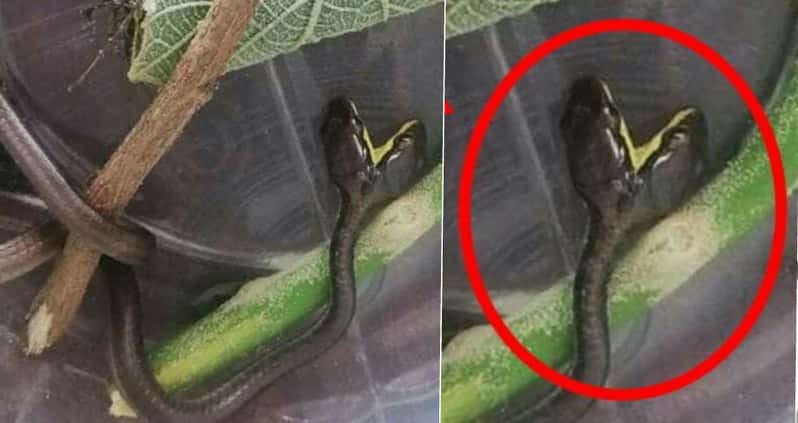 On Monday (March 4, 2019), several residents of San Enrique town in Negros Occidental found a bronze back tree snake with two heads. 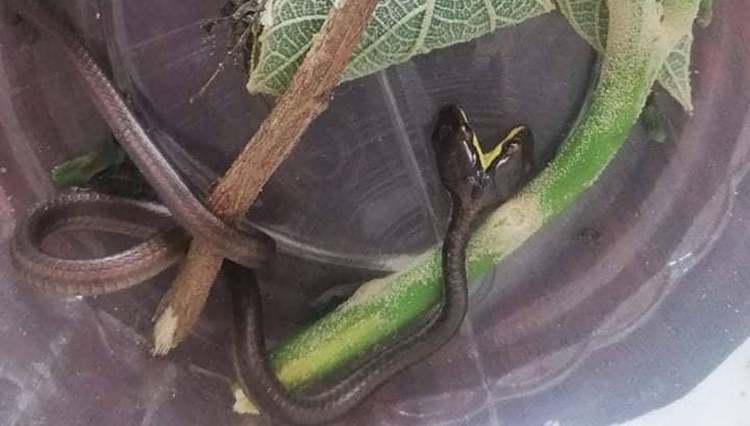 CENR officer Joan Gerangaya said that the rare snake specie has been surrendered to the Community Environment and Natural Resources Office in Bago City. The bronze back tree snake is also known as “Dendrelaphis Tristis” that can be usually found in South asia. It is a slender snake with a pointer head and bronze coloured line running right down to its back that usually eats birds, frogs, and geckos.